It's easy to get caught up in sport-specific training, but sometimes athletes can benefit from a little time training under the rubric of another sport. Meet strongman, your key to increased power, endurance, and muscular control! A competitive season has distinct beginnings and ends. You know where you're going and if you've gotten there. Strength, on the other hand, isn't a destination; it's an ongoing and ever-changing struggle. This is true no matter your goals, from trying to increase the amount you can lift, to using strength to build speed or athletic prowess. Because those goals are so open-ended, it's easy to fall into a rut after training for an extended period. When this happens, it's easy to just start shopping around for a newer or "better" program. Countless programs await you online and in magazines. Most of the time, they're basically a more complicated, more time-consuming version of what you're doing already. If your goal is to take your competitive ability to the next level, they're not going to get you there. In this case you need a wholly different style of training, one that reinforces the foundational concepts of strength training, but still blows up the conventional program. I'm talking about strongman training, or dinosaur training, implement, functional, and few other names, none of which really captures just what a boon it can be to just about any athlete. I'm talking track stars, bodybuilders, volleyball players, golfers, soccer players, firefighters, football linemen—everyone. No matter your fitness destination, spending a little time with strongman training can help you get there. It'll refresh a stale strength regimen. If or when you go back to your old program, you'll be stronger, leaner, and tougher than ever. Just try it! 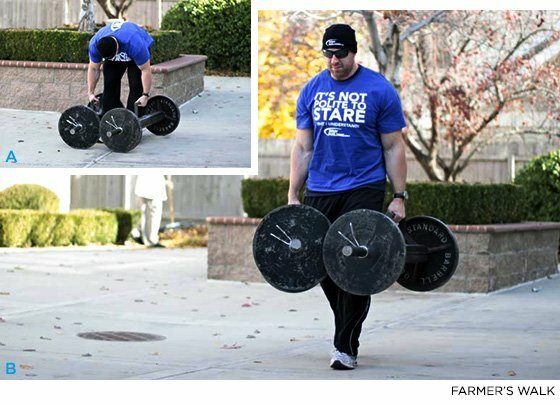 Because strongman training uses such unique implements, it's easy to focus your attention on the things rather than the movements. But make no mistake: the movements make this style of training so special. 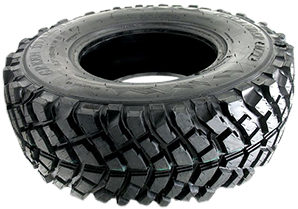 You simply can't pull a truck or flip a tractor tire with singular muscle groups. You have to dig deep, learn where your power comes from, how to access it, and how to implement it efficiently and effectively. Think of a sprinter in the starting blocks, leaning forward 45 degrees. This is the same position an American football lineman will take at the line of scrimmage before engaging his opponent. Not coincidentally, this is the same position a strongman athlete takes when flipping a tire. In each case, this position enables the immediate employment of explosive force—if you know where that force comes from. If you don't, you'll lose the race, the tire will stay on the ground, and you'll get bullrushed by the beast on the other side of the line of scrimmage. Where is that power generated? It comes from your largest muscle groups, the hips and legs, by employing what is known as the triple extension movement. The triple extension movement is used by athletes to open up the hip, knee and ankle joints almost simultaneously in order to maximize the output of power from the lower body. Think of an Olympic clean or a volleyball spike—those are two classic triple extension movements. The triple extension is also foundational to strongman training. The benefits don't end there. 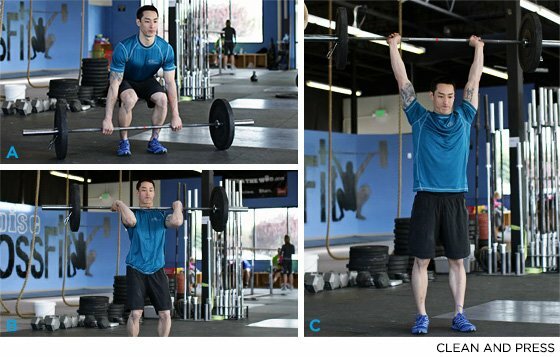 Back squats and snatches are two examples of multi-joint exercises that are known to transfer well to athletics. 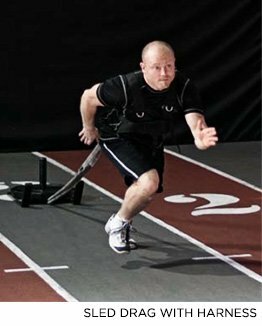 But, strongman techniques can offer the same type of benefits, such as better motor unit and muscle recruitment, forging of neurological pathways. Strongman movements have a built-in endurance component, so you burn fat and condition as you train. And when it comes to working as many muscles as possible in the shortest amount of time, they can't be beat. 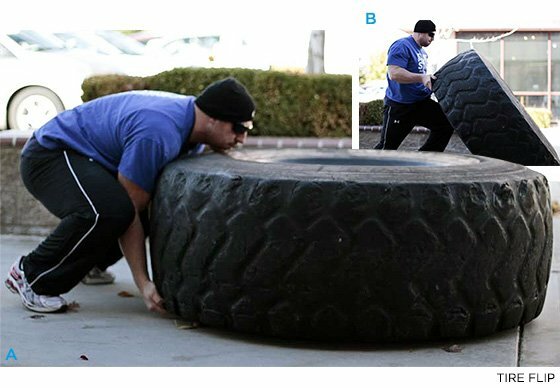 Below are examples of a strongman implements, as well as explanations of how they can benefit any pro athlete or weekend warrior. If you're only familiar with them from TV or YouTube, they may seem a bit intimidating, but don't let their appearances get to you. As former World's Strongest Man Anthony Clark once told me, "We all start with an empty bar." 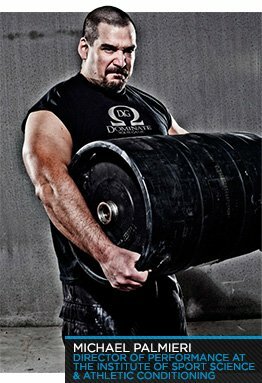 Strongman training is easily scalable, and I've included what I feel are the most effective cues. Set a distance, a time, or number of flips. You'll generate the power needed to get this beast moving from the hips and legs. Do not use your biceps! As you start the motion from the ground, bring one knee up explosively to the tire in order to keep the momentum going. Get underneath the tire and push hard, almost like you're doing a standing bench press. This isn't your normal everyday clean and press. In implement training, we use oddly-shaped items like partially filled kegs or sandbags. This is similar to an overhead press, except you now have the added difficulty of sand or water sloshing around inside the implement while trying to lift it. It adds a whole different dimension! Once again, you're going to use irregular items like kegs and sandbags. As with the tire flip, select a legitimate time or distance for the carry. Make sure you have a solid grip on the implement and keep it close to you. Do not use your biceps to hold the object in place—they're not up to the task. That's a lot of different muscles you're using! But just like in the previous movements, it's imperative that you remember to generate power out of your hips and legs, not your lower back or biceps. As long as you do that, this is a simple and easily adaptable movement. You can do it wearing a harness and walking forward with the weight, or sitting with your feet propped up against something and pulling arm over arm. Use anything from a sled to a semi-truck. You can just even stack some 45-pound plates, run a rope through the middle, and drag away. Like the weighted pull, this can be easily adapted to work with different objects. Just set a fixed distance, grab something stupidly heavy in each hand, and go. Keep your chest up and back straight. Take quick, small steps in order to maintain your balance—you'll quickly discover you don't have a choice about this. Make sure the distance is legitimate; 3 or 4 feet doesn't cut it. For added difficultly, include a turnaround point and head back to your starting point. You can include a time element here once you get your land legs. This and the tire flip are the only movements here where you are bound to a specific implement. But if you've been wondering what to do with that branch that fell into your yard during a windstorm, meet your next weekend project. As for the lift: do it in three parts. First, lap the log by squatting down and lifting it into your lap; then, keep the log high on your chest, and stand up like you're doing a front squat, swinging your elbows under the log. Steady yourself, take a deep breath, and drive the log up with your legs, finishing by locking out your arms. If You Had To Pick ONLY 1 - Which Of The 6 Strongman Implements Would You Choose? Tell Us Why In The Page Comments. Unless you're preparing for a strongman meet, I don't suggest doing all six of these on the same day. Pick three, and alternate them with your normal workout once per week. Work with heavy implements on a medium exercise day. In other words, don't try max effort farmer walks right after setting a PR in the squat. Do 3-4 sets for each implement at about 85 percent of 1RM with at least 5 minutes rest in between each set, or until someone calls 911. Perform dynamic implements on a heavy exercise day. In this case, go ahead and do those heavy squats, and then do implements at around 75 percent of 1RM for speed. Do 3-4 sets for each implement with about 2 minutes rest between each set ... Of course, that 911-call is still an option, too.